Important accommodation notice for travelling participants: In 2019 the Cork City Marathon takes place on the day after Ocean to City, which will bring thousands of runners into the city. To avoid lodging difficulties we strongly advise travelling participants to reserve their accommodation as early as possible. Our partner hotel The Clayton, Cork City is Cork’s premier 4 star city centre hotel and is superbly located overlooking Cork’s famous River Lee and facing the inspired architecture of City Hall. The hotel is just a 5 minute stroll from the city’s shopping and entertainment hot spots and the premier business district. Hotel Facilities include: 197 guest rooms and apartments, 1 exclusive rooftop Penthouse suite, Kudos Bar and Restaurant, Atrium Café, complimentary WiFi with 300 MB internet bandwidth, Health & Fitness Club, Essence Spa, underground public car parking available, 300 secure parking spaces. The above rates include breakfast, full access to our Club Vitae gym & pool. The rates are subject to availability and advance booking is required. Ocean to City participants can call and ask for the Ocean to City Race Rate or quote group booking reference ID730933. 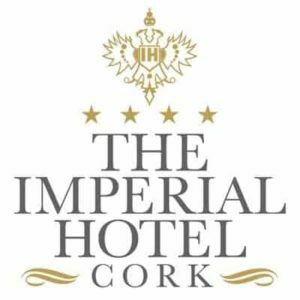 The Imperial Hotel is the most central hotel in Cork City with the best shopping, restaurants, theatres and tourist attractions on the doorstep. 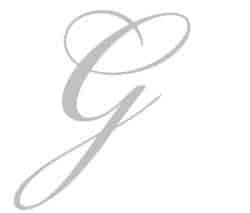 As you enter the hotel you are immediately struck by the sense of history, you feel genuine warmth from the staff who will most certainly make you feel immediately at home in this opulent and graceful building. *Best available rates on our website. If rates are higher on the website please quote “Ocean to City” to receive above rates. The iconic Metropole Hotel Cork in the heart of the vibrant Victorian Quarter is the perfect location for exploring Cork city. Guests can enjoy sweeping views of the city from our recently refurbished bedrooms. Complimentary, high speed 300MB Wi-Fi is available throughout the hotel and all guests can avail of free local, national and international newspapers and magazines when they stay with us by downloading the press-reader app. Guests can also enjoy complimentary access to the award winning Leisure Centre with facilities such as a 20m swimming pool, three pool areas, jacuzzi, sauna, steam room and a fully equipped gym. The MET is the new bar, restaurant and tea room at the Metropole Hotel Cork and is indeed a new taste experience for Cork. The atmosphere is relaxed and tranquil and is open daily from 12noon until late. The menu selection includes many locally sourced products complimented with an extensive wine list, cocktail menu and the delicious classic afternoon tea menu. Cork’s freshest 4* boutique hotel, The Montenotte, awarded Gold Medal Awards Ireland’s Best City Hotel 2017. Stay unique with exquisitely refurbished rooms, the stunning Panorama Bistro & Terrace, awarded Hotel Bar of the Year 2017, offering fresh, seasonal cuisine and fabulous cocktails boasting spectacular views of the cultured City of Cork or our in house ‘The Cameo’ cinema with a nightly movie showing. Set in the most picturesque location in Cork city you are just a stroll from many of Cork’s highlights, overlooking the beautiful city, and Ireland’s only Hotel Sunken Victorian Garden. The multi award-winning Cork International Hotel is the ideal location for your accommodation needs, whether you are looking for a hotel close to the airport, the city centre or even on the doorstep of the Wild Atlantic Way. All of the 145 rooms at this four star Cork hotel are designed with our guests in mind. From large comfortable beds with complimentary, high speed 500MB WiFi to a room safe, guests can rest in the knowledge that a perfect night’s sleep awaits them. There’s plenty to do at this very special hotel with amenities such as a fitness room, childrens club, the Cinema Room, the New Yorker Bar and the Atlantic Restaurant. The four star Cork Airport Hotel is the closest hotel to the Cork airport, the Gateway to the South of Ireland. The Cork Airport Hotel provides the perfect location for a perfect night’s sleep in our modern, comfortable bedrooms. The 81 bedrooms are perfect for both the leisure and business traveller in need of a rest. The hotel’s bar and Italian themed restaurant, Olivo offers delicious lunches and dinner for individuals and groups. Hotel amenities include complimentary, high speed 300MB WiFi, 24-hour room service and secure parking. The state of the art gymnasium is open to the public and offers very competitive membership rates. Nestled within 14 acres of natural parkland, The Maryborough Hotel and Spa is an 18th Century house boasting four star amenities and luxury spa facilities. Modern rooms boasting elegant interiors and fitted with flat screen TVs, some offering scenic garden views AA Rosette-awarded restaurant, bar, spa and leisure facilities. Impeccable Hospitality…elegant and individual…you will enjoy the service excellence that Maryborough Hotel & Spa offers. Rates include Breakfast, free car parking (incl trailer parking), WiFi, ESPA spa, leisure club and residents lounge. Stay in the 3* Cork Travelodge just a 10 minute drive to the Cork Harbour Festival. All rooms feature a comfy king size with free parking and free wi-fi. Our on-site restaurant and bar serves breakfast and tasty evening meals . The Ashley Hotel is a fine hotel with a perfect location for exploring the city – just one block up from St Patrick’s main shopping street with bus & train stations nearby. A car is not necessary – it’s all within walking distance. We can however provide an excellent breakfast and dinner and we offer complimentary parking on site, free Wifi and a terrace. Campus Accommodation UCC offers great value accommodation in Cork City during the Summer Months (Mid-May to August). The company has 4 separate apartment complexes – University Hall, Victoria Lodge, Victoria Mills and Castlewhite. All four complexes are located close to the River Lee and within walking distance of University College Cork and Cork City Centre. It is an ideal base to explore everything that Cork has to offer. Rates include: Bed linen and towels, parking (Boat Trailers must reserve space when making booking), Wifi, tea/coffee pack on arrival and 24hr security. With its elevated position, Gabriel House looks out over Cork’s cathedral spires and the harbour. A 10-minute walk from the centre, we are surrounded by landscaped gardens, offering en-suite rooms, TVs and free WiFi. Most rooms boast stunning views of the garden and countryside. All guests have access to filtered water and ice at reception. Dating from the early 1900s, Gabriel House features 10-feet-high ceilings, a characteristic staircase and many original features. Guests can relax in the garden and patio to the rear of the property, while helpful staff can provide city maps and recommendations for day trips or restaurants. Guests can pick out freshly laid eggs for breakfast each morning from the house’s own resident hens. A traditional Irish breakfast is served daily and made from local ingredients, while breads, biscuits scones are freshly home-baked every day. -Special Rate Triple Room: €185.00 per room per night. Family room (4beds) €210.00 per room per night. Each room includes satellite channels on its wall-mounted LCD TV, as well as free WiFi access. There is a private bathroom and hairdryer, along with tea/coffee facilities and welcome sweets. Parking is free at the guesthouse, and the famous English Market in Cork is just a 10-minute walk away. University College Cork is less than a minute\’s walk away, and the bustling shops and restaurants of St Patrick’s Street are only 15 minutes’ walk away. All the room rates include breakfast. Situated in the student-friendly, historical quarter of Cork City, Kinlay House is known for its warm and friendly atmosphere & offers clean and comfortable accommodation at great prices. We are 10 to 15 minutes from the bus and train stations, 5 minutes from the city centre. Our rooms range from those suitable for families or couples to those for larger groups. We have 24 hour reception, solid security & dedicated friendly staff! Inch Hideaway is an Eco Sustainable camping situated walking distance from Inch Beach, Whitegate, Co. Cork, Ireland. We have 4 gorgeous yurts and the Wanderly Wagon that sleeps up to 27 people. Each yurt sits on a raised platform and is heated with a wood fired stove and furnished with beds and all extra comfort. There is an all geared up communal kitchen, banquet dining area, BBQs, wood fired pizza oven and camp fire pit. Please visit our website or email us as fees depend on number of people and length of stay. Rates include: All linen, bedding, towels and wood for stoves and campfire.